Just wanted to share a pet project I've been working on for a gated shifter. I've always loved the look of those, so I figured I'd give it a shot. Attaching a shot of my V1 3-d printed prototype, I'll be using this thread to update with progress. I've already found that the symmetric H pattern isn't going to work - it's not possible to get the throws I need for all gears and have all gates be the same length as I don't have enough opening to work with, so I'm moving to a stair-step model, pictures attached. With this pattern, each gate closely fits the actual gear throw, which I think is kind of cool. The V2 model has angled sidewalls to account for the shifter rod angle in 1,2 & 5,6, and moves the gates a little lower on the plate to get better clearance in neutral. I was initially concerned about how it'd feel, but the tight gates actually lock the shifter in place & reduce slop. It feels pretty good actually! The idea is to get this CNC machined in brushed aluminum once I'm happy with it. Will post updates as things move along...I'm using a 3-d print shop so turnaround times are ~1.5 weeks unfortunately. shay2nak, rb26dett, Kubera and 3 others like this. Wow, what a cool project. Now just add some LED lighting underneath! Looks great. Im in for 1 if you produce these in brushed aluminum! I REALLY like the appearance of that and it will be great in Al. Nice job. It looks like you're planning to use a really thick plate. Any particular reason for that? Unfortunately for me it looks like my ShiftR111 wouldn't work with something like that. Can you post a video going through the gears? Looks cool! I didn't want this mod to look aftermarket, and some thinner plated shift gates I've seen look a little cheap/plasticky: https://uniqperformance.ca/wp-conten...3-768x1365.png. @Brandonm84 - definitely, I'll shoot a video once my V2 print comes in. I misjudged the throw positions with the V1, so it wouldn't be very indicative. darkSol, rb26dett, Deet3450 and 2 others like this. @me73 - Do you know what specifically about the ShiftR111 kit wouldn't work with this? 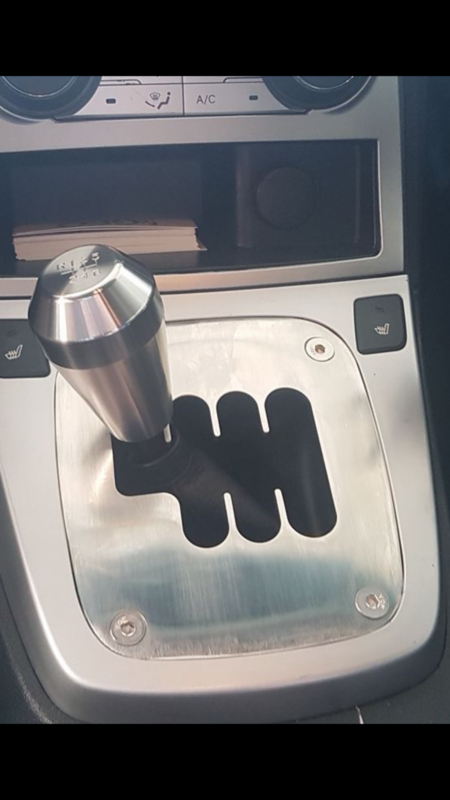 I just took a look at some photos, seems like unless you have the short throw shifter(which might also work if it's really just shorter in the y-axis), the gear pattern & separation should be the same? I had to remove the reverse lockout, which is something you'd need to do as well but apart from that, is there another issue that'd prevent you from using something like this? The only issue that prevents me from using this is I use my ShiftR111 naked. That thing is a work of art. I can’t hide the beauty of it. Going from memory I thought the beam/shaft transition was high up the shifter on the ShiftR. There's an interference between the reverse cable stop and the console/boot seam so I thought that meant the reverse stop would be too high up. But on second look, I think it might be low enough for a gate to work. It looks like the reverse stop on the ShiftR is nearly the same height as the shift cable bracket on the stock unit. Last edited by me73; 02-16-2019 at 11:51 AM. Thanks for the photos! That is super helpful. Yeah it does look like it'd be workable, though of course would need some testing to ensure it. I’ve been wanting this for years. I’d take one without a logo and brushed Al. Maybe even powder coated satin black. This is a great idea!!! Definitely in for a group buy. Seeing I have quite a few CF pieces including console, the Al might be a great contrast to it and go well with the rest of the stock Al. Subscribing! This is a product that people will like. Getting the gated plate to line up with the top of the console may be the hardest part. 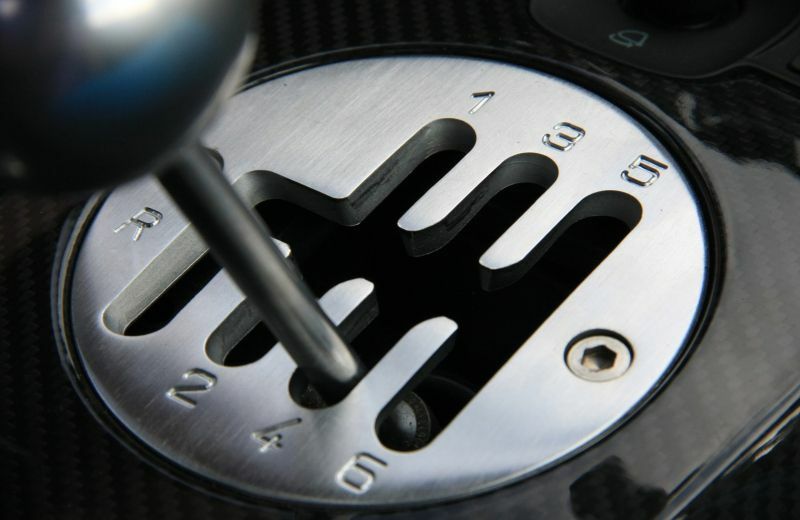 The shift boot provides alot of flexibility for gear lever position variation. Wide slots may be the solution but will obviously need to be different when a short-shift kit is installed vs stock throws. Thanks for the tips Shinoo! Throw variability between cars is something I've been wondering about - I'd have imagined them to be relatively close, but I need to confirm that. shay2nak, Smoky, NoRawkus305 and 5 others like this. If done on a CNC mill,engraving could be done there.